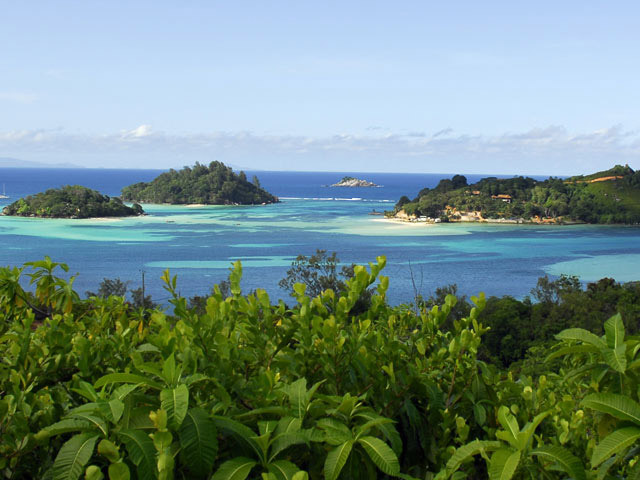 Measuring just a mile long and less than a mile wide, Cerf is a lush island with a number of perfect sandy beaches and just a few inhabitants. 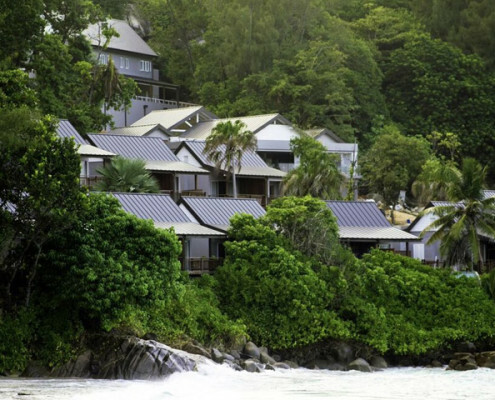 Nestled into the lush hillside overlooking the sea, the 4-star Cerf Island Resort is a cluster of spacious villas, each of which have been built to high standards and designed to blend into the natural surroundings while delivering a true Creole experience. 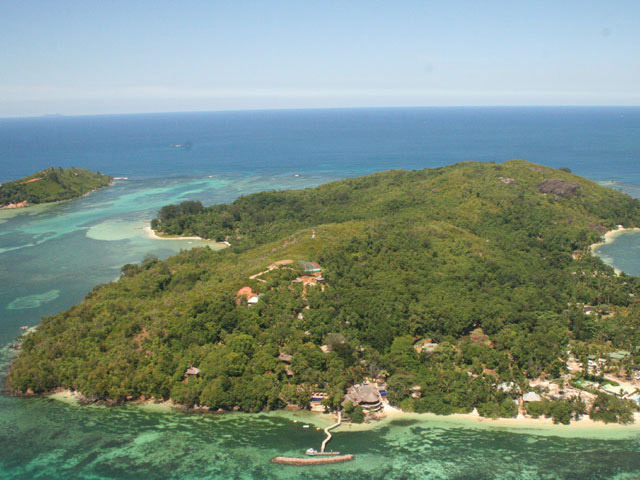 A true tropical island with no roads, the few pathways allow leisurely exploration of the island. Stroll amongst tropical vegetation to the marine reserve viewpoint to experience the gentle mix of flora and fauna. The empty white sand beaches offer a personal oasis in nature’s tropical playground and the marine park waters around the Island are a diving paradise of abundant tropical sea-life. 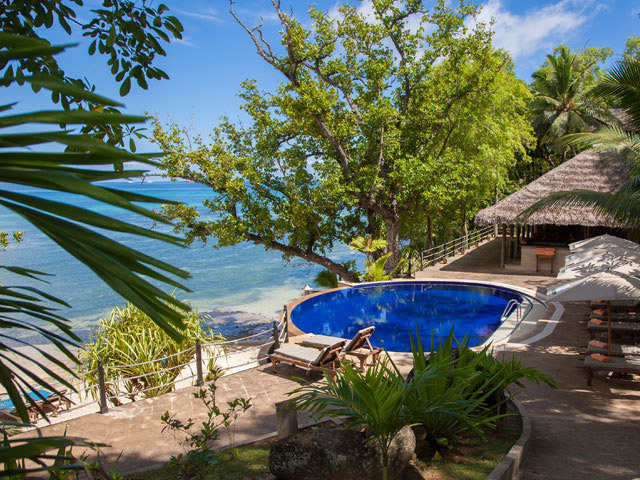 Cerf Island Resort is located on its namesake Cerf Island, 4 km off the north coast of Mahé. The understated elegance of the private Villas conveys a harmonious balance between modern day comforts and services at distinctively high standards and the natural surroundings of a harmonious tropical paradise. Our intimate and luxurious Villas each offer distinctive experiences with beautiful views of the tropical vegetation and patches of the Indian Ocean in addition to glimpses of magnificent sunsets. Please note resort policy only welcomes children above 7 years of age. The luxurious Hillside Villas feature a four poster bed, a large outdoor bathroom with double bath, large sliding doors out to a spacious balcony and beautiful views. 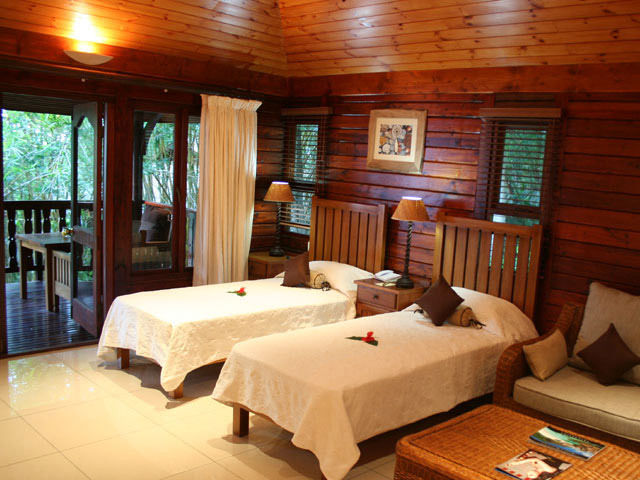 Ideal for a romantic retreat, Hideaway Villas are the cream of the Hillside Villas. Situated in fantastic secluded locations with private sun gardens and a choice of either a direct sea view or larger bedroom. The timber-constructed Tortoise Suites feature a master bedroom with bathroom and a second twin bedroom with its own bathroom. The bedrooms have their own entrance and are connected via the balcony. 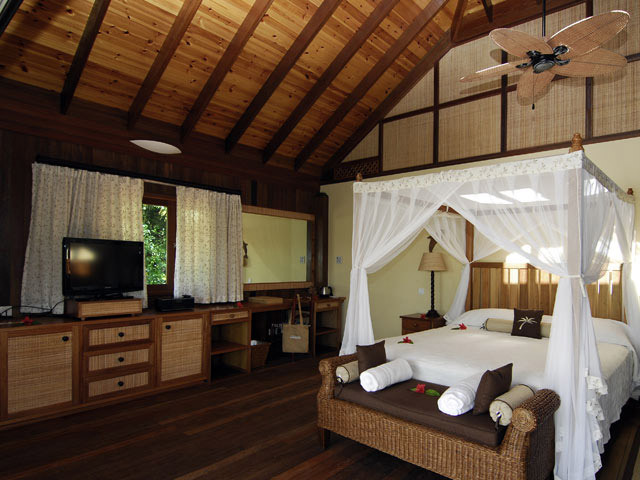 Each Villa is fully equipped with satellite television, DVD-CD player, air conditioning and ceiling fan, private safe, tea and coffee facilities, mini-bar, private terrace and luxury branded bathroom toiletries. The “1756” Restaurant, named after the year Cerf Island was discovered, and Zepis Restaurant are perched on a beach with unimpeded sea views, a truly heavenly setting. 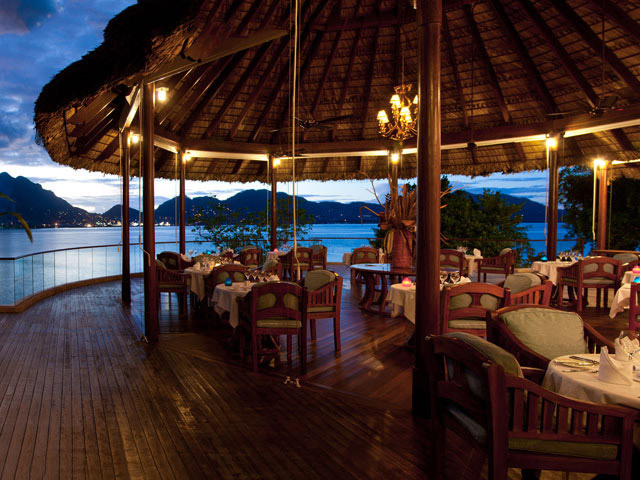 Dining is certainly an unforgettable affair and a wide choice of fine traditional Creole and international cuisine, a treasure of fresh seafood and local natural produce are on offer. Relax and unwind in the informal atmosphere and enjoy the panoramic view. The restaurants are open for breakfast and dinner. Gentlemen are requested to wear long trousers during the evening. Enjoy a light meal or an exotic cocktail available from the Pool Bar menu. Relax by the pool or on the private beach and our staff will cheerfully serve you your favourite drinks. Lunch is served at the Pool Bar. Beach dinner is available (advance booking only) for a maximum of 4 people. A variety of delicious light meals, salads, sandwiches and soups are available for In-room dining. 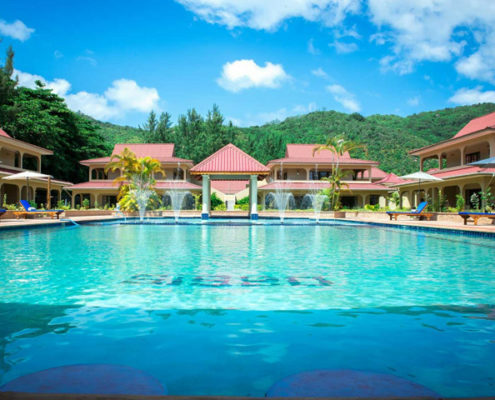 Infinity swimming pool, snorkelling, Kayaks, pedal boat, scuba diving, fishing, sunset cruise, tennis and helicopter tours. 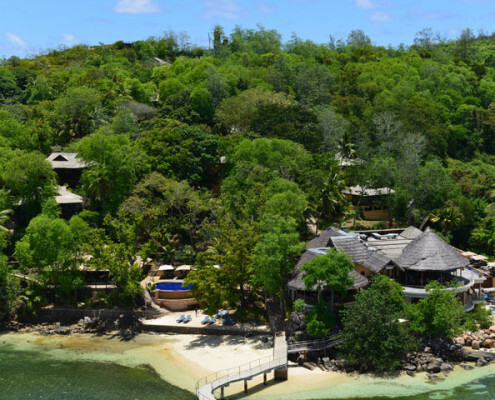 Le Spa Latanier at Cerf Island Resort is set halfway up the hill, surrounded by “Kallis du Pap” trees and nestled into the lush vegetation of latanier palms. The calm and soothing ambience of the island, its breathtakingly beautiful beaches and gastronomic traditions coupled with our professional Spa treatments, with soothing therapies both old and new, will bring an entirely new dimension of relaxation and revitalisation to your holiday. So unwind, relax, and pamper yourself in style on Cerf Island. Out in the tropical sunshine, you can wash away the stresses of life back home with massages, facials, beauty and nail-care treatments and a steam bath. The products selected for our treatments are based on essential oils, a truly bio-product, drawing on the natural environment as inspiration for its range of treatments. The Spa boasts a variety of massage styles, a private steam room, indoor/outdoor treatment room, indoor and outdoor shower facilities, outdoor Rainforest Jacuzzi and a relaxation garden. 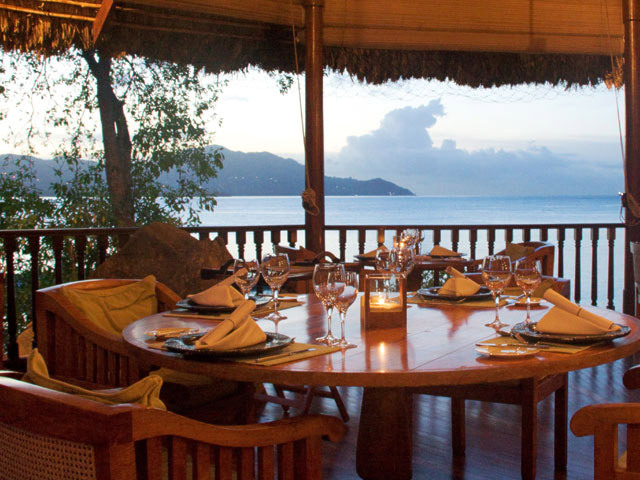 What could inspire romance more than the Seychelles’ unparalleled natural beauty? 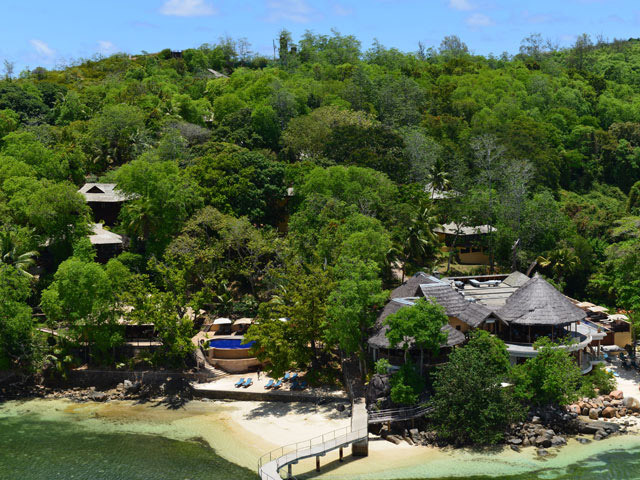 Cerf Island Resort is the perfect destination for a wedding, a honeymoon or to celebrate an anniversary; its secluded beaches, exclusive private villas almost seem to have been created with lovers in mind. Our experienced co-ordinators will take care of all the details from A to Z, allowing you to enjoy that special occasion. Other facilities include DVD Library, Internet Room and Library, Business Services and Guest Excursions and Activities Desk.